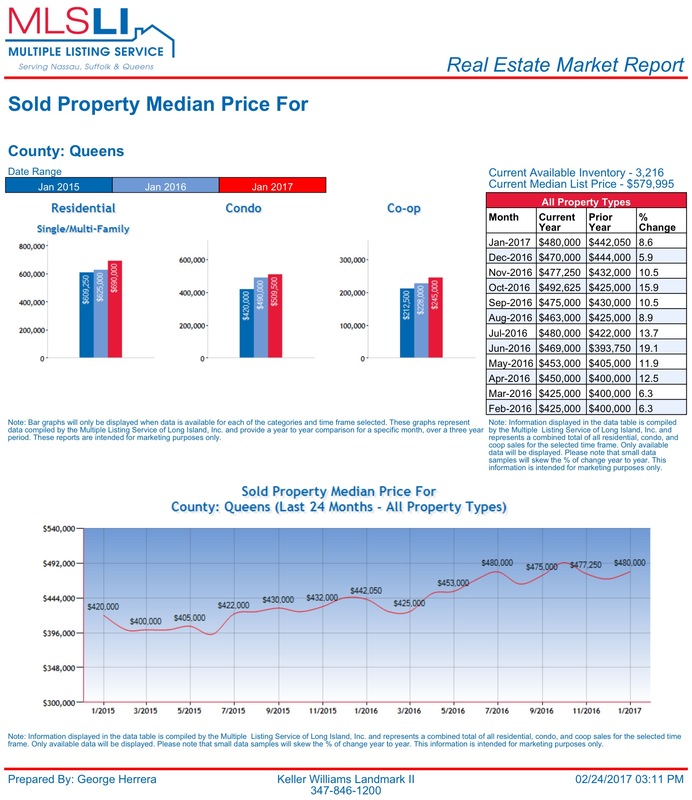 The Queens real estate market picked up quite a bit in February. This is a change from the month prior. For example, our January was pretty slow in terms of new seller clients, and based on our conversations with other listing agents in the office, January seemed to be slow across the board on the listing side. However, February got much busier as we started getting a lot of sellers contacting us with plans to sell within the next month or so. For example, as I write this on Saturday, Feb 25th we have 3 new listings hitting the market on Monday, Feb 27th. In addition to this, we also had 9 sellers contact us this week to schedule listing consultations. If that is consistent for other agents in the market, then we may finally see a lot of listings hit the market in March. 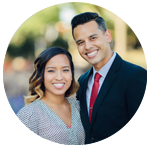 As for the buyer side, we heard from some of the lenders we work with that their pre-approval applications also went up in February. Our buyer agents have also been getting more calls and scheduling more consultations so that is most likely a sign of buyer activity increasing as the spring market approaches. Buyer demand however, has not been the problem, the issue we’ve been facing in the last few years is an inventory shortage and that alone can change the dynamic of our real estate market. With the new administration in office, and with the recent rise in interest rates, it will be interesting to see what happens this Spring & Summer. Stay tuned as we track things in the next quarter. 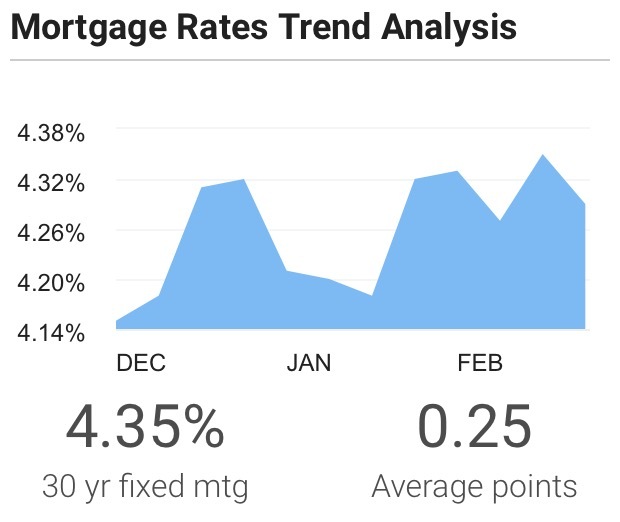 Mortgage rates rose this week, according to Bankrate’s latest survey of large lenders. The benchmark 30-year fixed-rate mortgage added on 8 basis points to 4.35 percent. The benchmark 15-year fixed-rate mortgage added on 2 basis points to 3.51 percent. For your reference, in Feb of last year the rate for a 30 year fixed rate mortgage was right around 3.8%. The Long Island Board of REALTORS® reported home sales at a seasonally adjusted annual rate of approximately 665 homes during the month of January. This was a decrease of 12.6% percent from December, and an increase of 0.9 percent from January of last year. Specifically, Residential 1-3 family Queens home sales were down 4%, Queens Condo sales were UP 15.3%, and Queens Coop sales were down 5.4% compared to this time last year. Over the last 12 months, Queens home sales are down 1.2%. The median home price increased to $480,000 in January, which was up 2.1 percent from December and up 8.6 percent from January of last year. The median home price in Queens has increased by approximately $37,950 in the past year alone. Specifically, Residential 1-3 family Queens home prices were up 10.4%, Queens Condo prices were up 4%, and Queens Coop prices were up 7.5% compared to this time last year. Over the last 12 months, Queens home prices are up 8.6%. There was a 4.3-month supply of housing inventory in January, which was exactly the same as December. The total number of homes for sale increased by 2.6 percent compared to February of last year. Specifically, there are currently 2,147 residential 1-3 family homes for sale, 302 Condos for sale, and 816 Coops for sale in Queens county. 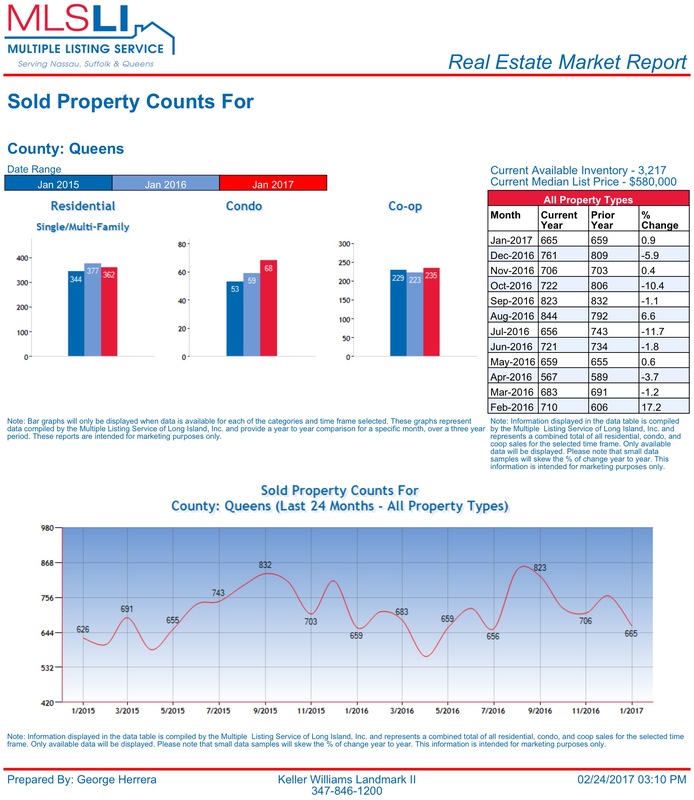 Total: 3,265 Queens homes for sale.